Earlier this week I visited ESA’s European Astronaut Centre (EAC) in Cologne, Germany. I’ve been very fortunate for this to be the 3rd time I have been to facility. The last time was pretty cool – I mean, it’s not every day you get a personal tour by ESA astronaut Andreas Mogensen, especially whilst he’s preparing to go to space! 3. Originally his trip to the ISS was supposed to take 6 hours but instead it took 2 days to avoid space junk, that’s a long time to be stuck in the Soyuz – It’s a 5th the size of the shuttle orbiter! 4. When Andreas and fellow crew members boarded the ISS, they brought the total number of inhabitants up to 9. The ISS was only built for 6 astronauts! 5. His main task is of course science. These include testing a new water-cleaning system, hands-free goggles similar to google-glass, a tight-fitting suit that mimics the effects of gravity and controlling rovers on Earth to prepare for future missions on Mars. At EAC, I was given the opportunity to sit in on a conference call with the ISS and space agencies from around the world. It was unbelievable that I was on a LIVE chat to all 9 astronauts in space! Space has never seemed more close than in that moment and it is a memory that I will cherish always. 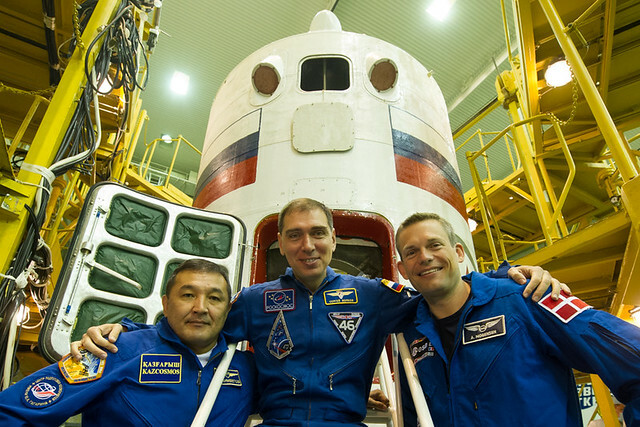 Follow Andreas’ journey on twitter @Astro_Andreas.